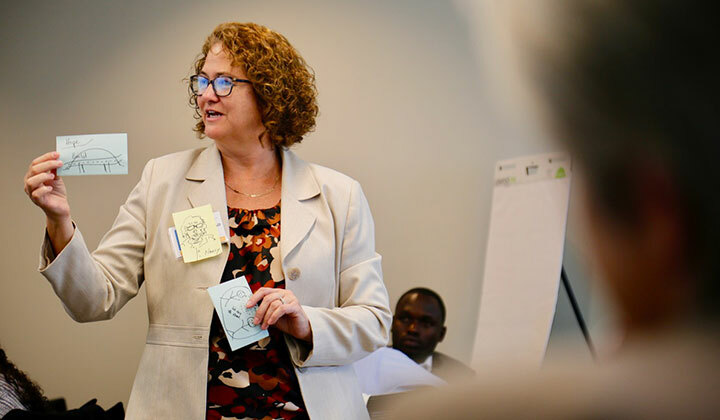 The Johns Hopkins Center for Health Equity and The Alliance for a Healthier World hosted a two-day Global to Local Design Thinking Strategies workshop on October 23 & 24, 2018 that brought together more than 30 public-health experts and advocates from Johns Hopkins, Baylor College of Medicine in Uganda, Moi University in Kenya, and more. 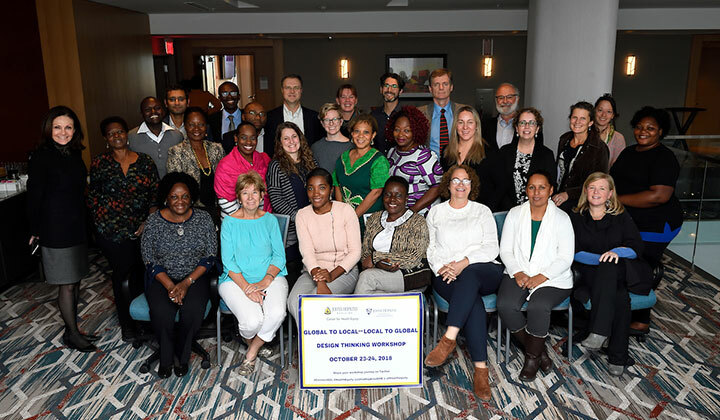 The workshop brought together teams of Global to Local leaders interested in working on similar problems and produced rich interactions between the diverse participants and it stimulated valuable learning about community-academic partnerships, globally and locally. At least two Spark Grants of up to $10,000 each will be awarded to teams of attendees to support first steps in new multi-sector and/or multi-disciplinary solutions to health equity problems in the attendees’ communities. This project is a collaboration between Johns Hopkins University and the Kwame Nkrumah University of Science and Technology. We will develop a scalable, sustainable model of hypertension care to ensure that health systems in Sub-Saharan Africa are strengthened to address hypertension control. This cross-disciplinary project seeks to translate and culturally-tailor evidence-based interventions designed to reduce racial and socioeconomic disparities in hypertension care and outcomes. We will lay the foundation for a larger trial, which will provide robust evidence on the effectiveness of this intervention, which could then be scaled up nationally. The ADHINCRA study will promote health equity and social justice by identifying which aspects of an intervention are critical for reducing socioeconomic disparities in hypertension treatment and outcomes. Principal investigator Yvonne Commodore Mensah, Assistant Professor, Department of Community Public Health Johns Hopkins University School of Nursing and funded by Alliance For A Healthier World.